Socialism sounds great. It has always sounded great. And it probably will always continue to sound great. It is only when you go beyond rhetoric and start looking at hard facts, that socialism turns out to be a big disappointment, if not a disaster. While throngs of young people are cheering loudly for avowed socialist Bernie Sanders, socialism has turned oil-rich Venezuela into a place where there are shortages of everything from toilet paper to beer, where electricity keeps shutting down, and there are long lines of people hoping to get food, people complaining that they cannot feed their families. With national income going down, and prices going up under triple-digit inflation in Venezuela, these complaints are by no means frivolous. But it is doubtful if the young people cheering for Bernie Sanders have even heard of such things, whether in Venezuela or other countries that have turned their economies over to politicians and bureaucrats to run. But people who attribute income equality to capitalists exploiting workers, as Karl Marx claimed, never seem to get around to testing that belief against facts — such as the fact that none of the Marxist regimes around the world has ever had as high a living standard for working people as there is in many capitalist countries. In 2015 the 400 richest people in the world had net losses of $19 billion. If they had rigged the system, surely they would have rigged it better than that. But the very idea of subjecting their pet notions to the test of hard facts will probably not even occur to those who are cheering for socialism and other ideas of the political left. How many of the people who are demanding an increase in the minimum wage have even bothered to check what actually happens when higher minimum wages are imposed? Back in 1948 when inflation had rendered meaningless the minimum wage established a decade earlier, the unemployment rate among 16- to 17-year-old black males was under 10 percent. But after the minimum wage was raised repeatedly to keep up with inflation, the unemployment rate for black males that age was never under 30 percent for more than 20 consecutive years, from 1971 to 1994. In many of those years, the unemployment rate for black youngsters that age exceeded 40 percent and, for a couple of years, it exceeded 50 percent. The damage is even greater than these statistics might suggest. Most low-wage jobs are entry-level jobs that young people move up out of, after acquiring work experience and a track record that makes them eligible for better jobs. But you can’t move up the ladder if you don’t get on the ladder. Here again, just a little check of the facts would reveal that higher tax rates on upper-income earners do not automatically translate into more tax revenue for the government. Often high tax rates have led to less revenue than lower tax rates. Señor Gill: You can say that again … and again. I’m not so worried about that – Bernie isn’t going to be the nominee – but it just points out that either end of the pendulum swing isn’t a good place to be. Loulou: Glad to see you’re still alive and well. And you are quite correct that either extreme of the pendulum swing is not ideal. However, if a swing is required, of course, I favor the right side. That one over thataway. Is the first statement even true? How could is possibly be true? The only off-the-top-of-my-head way that I can think of it being true is that the US Dollar wealth of foreigners measured in US dollars declined that much due to USD strength. If that’s the case, it’s a pretty flimsy argument. And even if the statement is true, it would be worth putting into perspective. I rather doubt that figure is all that meaningful to the net worth of the top 400 richest people. The Walton Family (Wal*Mart) alone is worth around $100 billion, and they’re just a handful of the 400. And if it’s not material, then the conclusion (which I think is wrong in any case) is ridiculous. Especially if the 400 think that maintaining the illusion that the system is not rigged is worth paying up for. Which it certainly is. So in 1948, black teen unemployment was under 10%. Well, in 1948 the USA was madly exporting massive amounts of goods to Europe where almost all factories had been bombed into powder. In April of that year, the Marshall Plan was passed in April, and US factories geared up appropriately. So, a single, extraordinary data point. This is compared with a 20-year stretch from 1971 to 1994, a time period which encompassed at least four recessions, and a slowdown (1994), during which Europe and Japan had already rebuilt and the US was then steadily offshoring production and running trade deficits. How comparable is 1948 to that 20-year period? I would say COMPLETELY NON COMPARABLE. As for Venezuela, it has become to “socialism” what Hitler has become to any discussion about firm leaders who are charismatic: a meaninglessly extreme case that gets rolled out to squelch genuine debate. I’m not defending Venezuela; it would in any case have failed as they had SPECTACULARLY BAD economic policies. And those policies were pushed through via manipulation of the political process, not via democracy. And there were no checks on those policies. However, Venezuela has also suffered the twin bad luck of a collapse in oil prices and a drought, which has essentially destroyed the supply of electricity. (Most of the electricity in the capital comes from a dammed river which is now drying up.) Had neither of those events happened, Venezuela would be grinding along unnoticed, neither really succeeding nor spectacularly failing. As a final point, I’d just add this: Give Capitalism A Chance. What we have running now in the USA is anything but capitalism. It is a rigged system of crony “capitalism” with soft central planning at its core in the form of the US Federal Reserve, which is really a fourth and unelected branch of government, which sets interest rates, something that would better be done by a free, capitalist system. 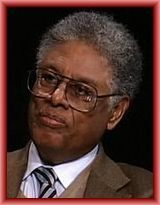 So Mr. Sowell does himself and the cause of free markets a rather massive disservice by ignoring the real problems, cherry-picking some random facts, and citing some other unsupported assertions all to make an argument that’s correct in the end, but not for the reasons he cites. And I’m even on his side. Where we watch the gyrations of rigged US markets with dismay. Kim: Finally got home from Colima. Your observations are well-taken, sir. And there are many ways to view the topic, as you ably show.